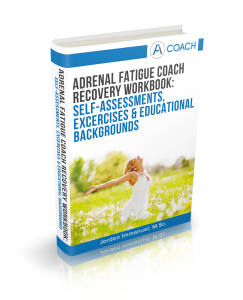 Adrenal Fatigue and Negativity: How To Stay Positive In a Negative World? 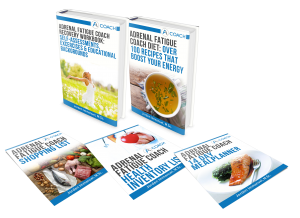 We have touched base upon the importance of a healthy and nutritious diet as part of your recovery plan from Adrenal Fatigue, but feeding your mind with positive and empowering thoughts also plays a great role in your overall health. You are not only what you eat and absorb through your stomach, but you are also what you think and consume through your mind! Your thoughts affect your emotions which in turn impact your attitudes that influence your behaviors. You have tens of thousands of thoughts per day and what you think about affects you physically and emotionally. There are happy thoughts, creative thoughts, sad thoughts, angry toughts, positive thoughts and also negative thoughts. Negative thoughts are thoughts that hold you back and cause distress. While negative thoughts are a problem for just about everyone, they are a huge liability for people with Adrenal Fatigue. Scientists and doctors now begin to understand that the majority of our physical and mental illnesses are coming from negative thinking. Dr. Caroline Leaf for instance states on her website that “75% to 98% of the illnesses that plague us today are a direct result of our thought life” (1). Dr. Bruce Lipton believes that your thoughts, and the thoughts of those around you, can directly influence the state of your health. He goes on and claims that the power of your own thoughts can influence the expression of your genes and possibly even cure cancer and other illnesses (2). Negative thoughts evoke negative emotions that trigger the amygdala, the part of your brain that sends out a red flag that activates the “fight-or-flight” stress response. Repeated activation of this physical stress response in the brain takes a toll on the body over time and leads to Adrenal Fatigue and other stress related health conditions. 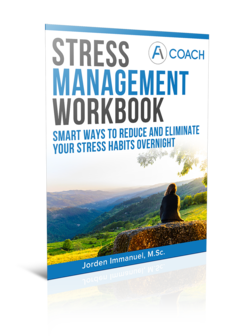 Research confirms that prolonged stress leads to all sorts of health conditions and contributes to high blood pressure, promotes the formation of artery-clogging deposits, and causes brain changes that may contribute to anxiety, depression, and addiction (3). In turn, anxiety and depression lead to more negative thoughts starting off a vicious circle; the more depressed you become, the more negative thoughts you will experience and the more you believe in those negative thoughts. The more negative thoughts you have, and the more you believe in those thoughts, the more depressed you will become. Although it is a fact that everyone has thoughts, it’s not a fact that the content of our thoughts and beliefs are always accurate. Most people already understand intuitively that inaccurate thoughts and beliefs about the world will lead you to think and act in ways that will only take away from your life. As an example, if you think, “I’m not good enough”, this will only generate feelings of distress, apathy and sadness and is therefore not a very useful thought. As such, thoughts and especially negative ones are powerful things that you need to pay attention to. From media and culture: just think about how our culture (in combination with the media) convinced women that in order for them to be beautiful they need to be thin. From past relationships: most of us have been exposed to hurt, rejection, criticism or some form of emotional abuse. The biggest chunk of our negative thoughts find their origin in our childhood. When we were still a child we absorbed the information that was said to us by parents, siblings and teachers, true or untrue in our subconscious mind. We simply accepted as truth the things we were told. As children lack the ability to distinguish truths from lies. So for instance, if a parent or teacher criticized us as a child and called us “stupid” we would accept that as truth, and that thought would be implanted in our memory. These thoughts can come to the surface later on in life and hold you back. So How To Stay Positive In A Negative World? The most important thing is to be aware of negative thoughts and see them for what they are; namely untrue, unproven, unfounded and plainly false. Cognitive-behavioral therapy (CBT) is a form of therapy that can help you think in a healthy way. It focuses on thought (cognitive) and action (behavioral). At the heart of cognitive therapy is learning to recognize when you are thinking negatively and then look for more positive and realistic ways of looking at your experiences. A lot of people choose to work with a therapist or a counselor to learn CBT. You can also practice healthy thinking on your own. The first step in overcoming negative thinking is to become cognizant of your thoughts and the effects these thoughts have on you. Negative thoughts make you feel bad, sad, anxious, depressed, guilty, hopeless or angry. Rather than being overwhelmed by these emotions, you can learn to use them as a signal for action. If you notice when your mood changes in a negative way you can look back at what was running through your mind at that particular point in time. Initially, you may not find it easy to catch and answer your thoughts, but just as with any other skill, it takes time and consistent practice to be able to do it with ease. So do not feel discouraged if struggle a little at the start. Can I be certain that it is true? How do I react, what do I feel, when I believe that thought? What would my life be like without that thought? Make sure to surround yourself with positive people. 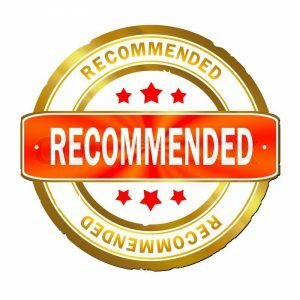 These people can be family members, friends, acquaintances or co-workers and should inspire you to be a better person, provide you with motivation to achieve your goals, enable you to make the changes you need to be successful and cheer on your accomplishments. What are the qualities of the people you currently spend the most time with? Do you consider them positive people? How do these people interact and affect you? The amygdala, our danger detector, is an early warning system that evaluates all of the information that is coming to us through our senses looking for any kind of a danger. This defense system was designed so that our early ancestors could deal with physical threats such as a sabre-toothed tiger. So most of the news in the media is negative because that’s what we pay attention to. As it turns out we have a number of cognitive biases (5). Cognitive biases are often studied in psychology and are tendencies to think in particular ways that can lead to systematic deviations from a standard of rationality or good judgment. Some biases are for instance the result of information-processing rules also known as heuristics. Examples of heuristics are a rule of thumb, an educated guess, stereotyping, an intuitive judgment, common sense or profiling (6),(7). So we have a “negativity bias” which is the tendency to give far more information to negative details than positive ones. On top of that we also have a “confirmation bias”, which is our tendency to selectively look at information or see information that confirms our preexisting beliefs. As we have just discussed, our preexisting beliefs are typically negative and therefore we’re reconfirming our negative expectations. So ultimately by reading the newspapers and watching the news you are kept in a negative state of mind. If you think about the fact that much of today’s dangers are probabilistic dangers such as a terrorist attack, a pandemic or an asteroid that might hit, your amygdala is always on red alert filtering out the positive news and only letting in the negative. The above quote is for me personally a good way to look at the world (and the media). It is from an old Marxist, the Italian Antonio Gramsci (I first heard it from Noam Chomsky and it always sticked with me). It does not necessarily mean to always look for the worst-case scenario, but rather seeing the world as it is. Not just accepting things at face value, questioning and doubting everything we are told. Not in a sense of cynicism but rather of scepticism. Pessimism of the intellect should always be underpinned by “optimism of the will”. That means the notion that humanity has always been able to meet new challenges, overcome obstacles and push society forward. Optimism of the will is supported by historical facts, on the realities that our human ingenuity in combination with struggle is what has led us from living in caves to the creation of the modern world that we live in today. Most of us now live longer, healthier and wealthier than ever before. Gratitude is derived from the Latin word gratia, meaning grace, graciousness or gratefullness. It is a way for people to reshift their focus and appreciate what they have rather than always reaching for something they want to have, hoping it will make them happier. It is a vital aspect of being positive and gratitude is strongly linked to greater happiness in Positive Psychology. Just think about it, it’s nearly impossible to be negative while you are being grateful. So if you want to feel positive, focus on what you’re fortunate to have in your life right now. You can for instance make a list of what you are most grateful for, keep it with you and take a peek when you feel negative thoughts arising. More ways to cultivate gratitude on a regular basis. What great advice. Negative thinking plagued me in my early years. I learned it from my mother and carried it on. Eventually I started to realize that negative thinking was not the only way to live. We cannot control our circumstances but we can change the way we look at them. I started meditating and that allowed my vibration to change over time. Eventually negative thoughts still would come, but they felt foreign. Anytime I find myself in a negative state of mind, I challenge my thoughts…is this thought REALLY true?? In all cases, it’s not. It’s just one perspective. I always remind myself that every coin has 2 sides. There is always a positive and negative side to EVERYTHING. Appreciation is also a great tool. I often look for things that make me feel good…things that I’m grateful for. That instantly gives me a boost and keeps me on a positive momentum. 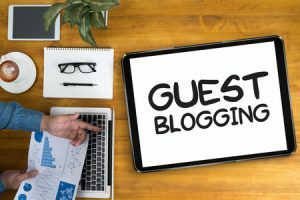 Awesome and very insightful post! Hi Kendra, thanks for your kind words. Great to see that meditation and appreciation keep you on a positive momentum!